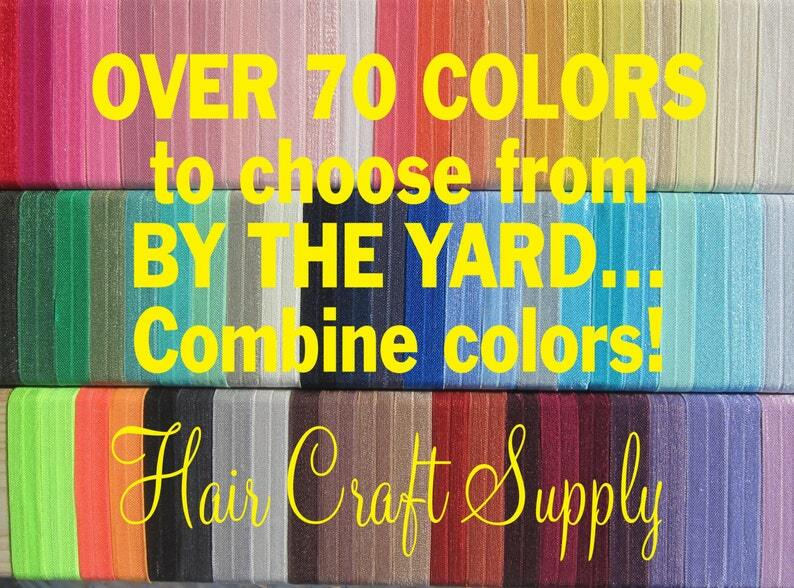 Listing for 20 yards of fold over elastic - Assorted Colors - Elastic widths vary around 5/8 inch as we purchase from many different suppliers to be able to offer all these colors. 1 YARD (36 inch) will make 2 headbands per yard. Perfect for hair ties also. Thanks so much made some hair bands for my friends!